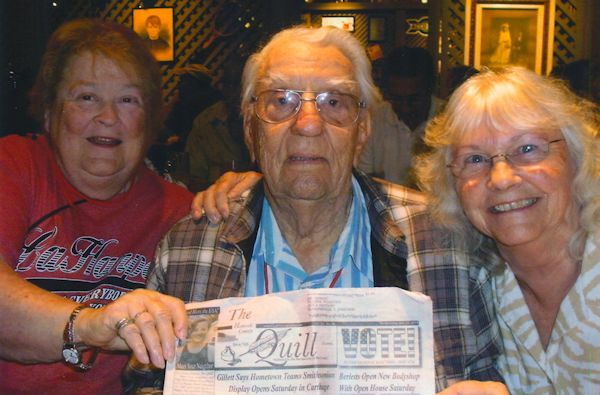 On November 6th Maggie Jones, Marvin Hornbaker and Deloris Rodeffer left La Harpe on the way to a Panama cruise and took "The Quill" along. They had tours in Aruba, Columbia, Panama, Costa Rica and Jamaica. They returned home on the 22nd of November. When you go on a trip, take "The Quill" along and have your picture taken with it and then send it to us. Let's see where all "The Quill" can travel!